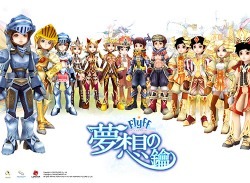 Flyff, that means Fly For Fun is one of the best free mmorpgs at the net these days I think. It isnt that complicated but has functions enough to satificate you mmorpg needs. It also has that little extra that makes it a bit special - flying. When you start Flyff you are in a little town called Flarine. Flarine is the city on one of the three main islands that makes flyff: Flaris, Saintmorning and Darkon.